Car registration every year is a painful process. It's quite redundant, but you'll need to do it because the law says that you need to do it. I have personally handled the vehicle registration of our family so I know the process by heart. 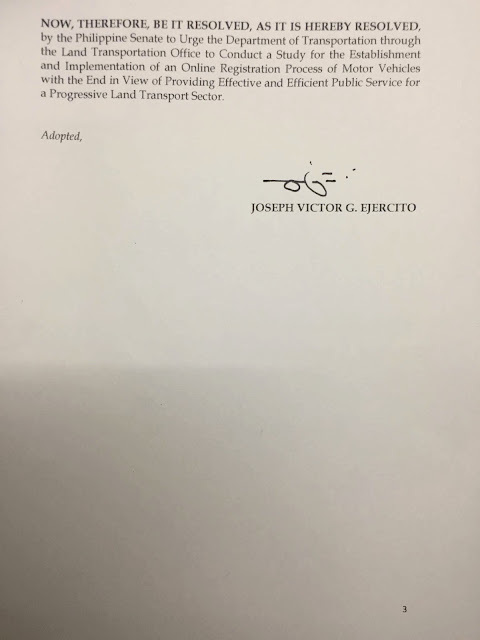 Every year, the LTO asks us for a stencil of the cars. 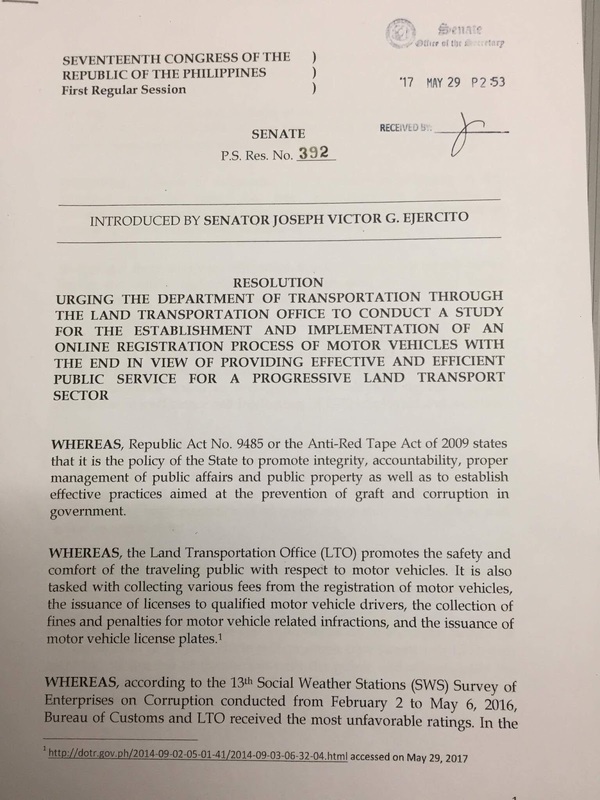 So what I did was to make multiple stencils of all the cars (using the LTO forms) so that when the time came for that particular vehicle to be registered, I would simply pull it out from the file. 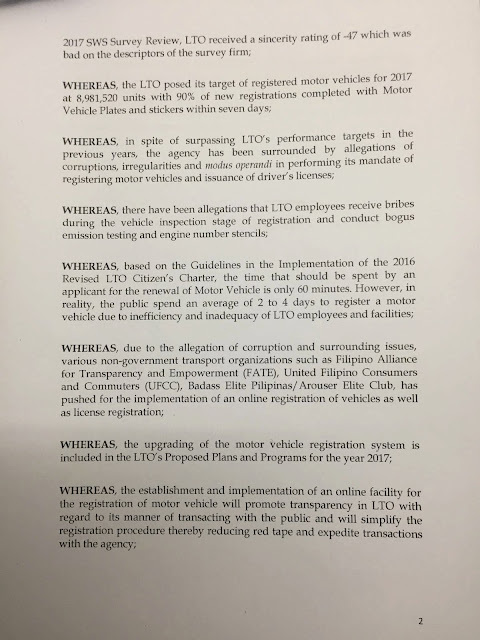 Things changed a few years ago, I honestly didn't understand it - but our driver told us that the LTO people are the ones who need to stencil the vehicles right before you register. This he said entailed a different from AND another fee. FINE - since we can't skip that process, then go ahead - right? For years we have had a *suki* smoke emission testing company that we go to that is nearby. We go to that particular shop because they work very fast - and because we've developed a relationship with them through the years. 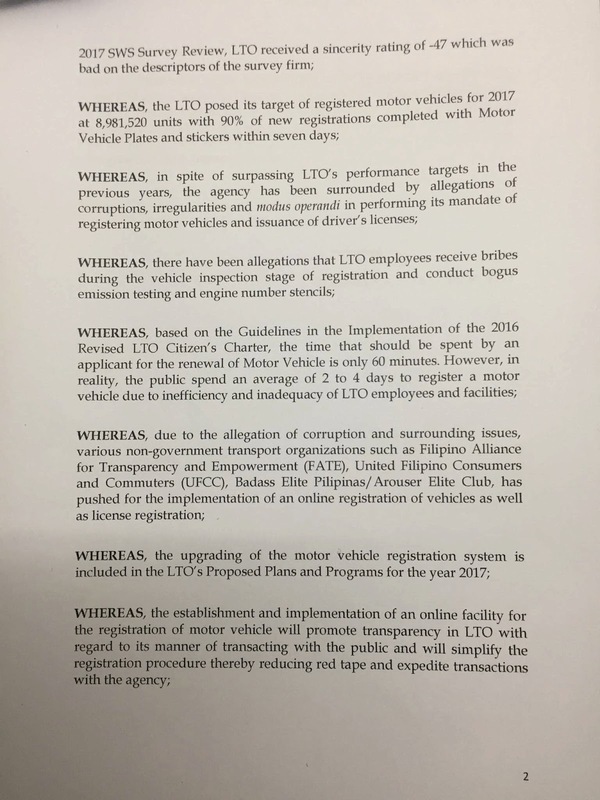 THEN things changed again a few years ago - there was a ruling that you NEED to have your smoke emission checked nearby the LTO office that you will register your vehicle. This was such a hassle for us because the locations of the LTO office where register is a distance from one another. Since transferring the LTO office where we register is another painful process, we decided to just maintain that LTO office and switch smoke belching companies. Imagine, we would be spending the WHOLE day in the LTO office just waiting for the documents. We would go very early - to have the emission test done, then stencil (this will depend on the person doing the stencil-ing, if he was only one and there are about 25 vehicles inline - what time can he finish, right?) and then wait a long looooong time for the papers to get moving and to pay for the fee and finally getting the sticker (if there was any). 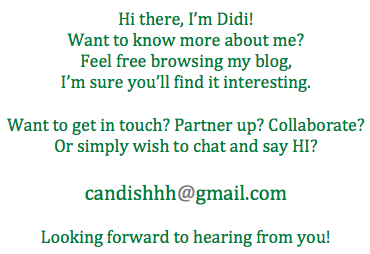 To me personally, it's such a waste of time - I mean, why not simple shorten the process, right? But well, that's the bureucracy of the LTO. 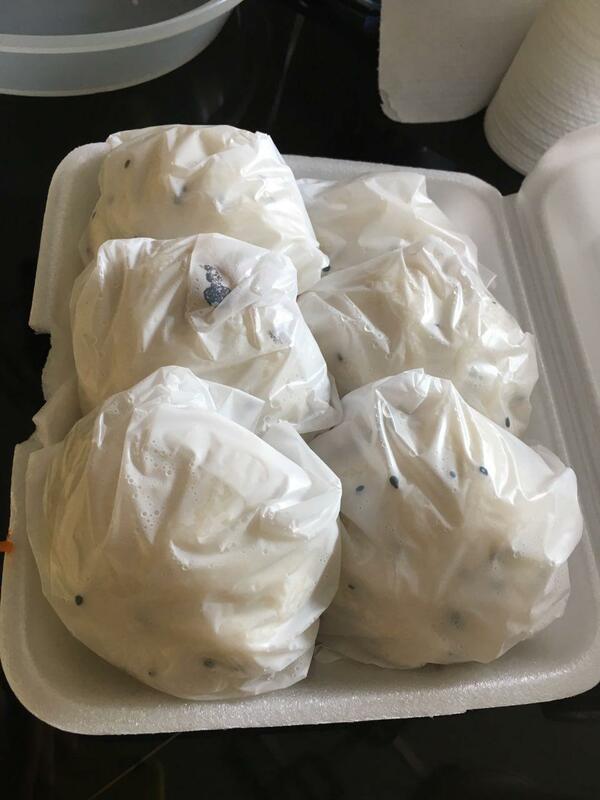 The frontline staff is very unhappy with their work, there is not simple production line - that you need to go back and forth from the window that received the documents, from the cashier to the claiming of the stickers (if any). When I observed this, I thought to myself - how disorganized! I mean why put the cashier on another end and make people go back and forth to it? It's really crazy, honestly. I asked about it - and you know what I was told why the position of the cashier was on the end? Well, it's because the cord of the machine (for the electric outlet) is SHORT! I don't have words. I really don't anymore. So I just sighed and waited. And when we were finally called - I was told, *NO sticker po* So we waited for nothing. This is repeated a number of times a year. And it is getting very frustrating. 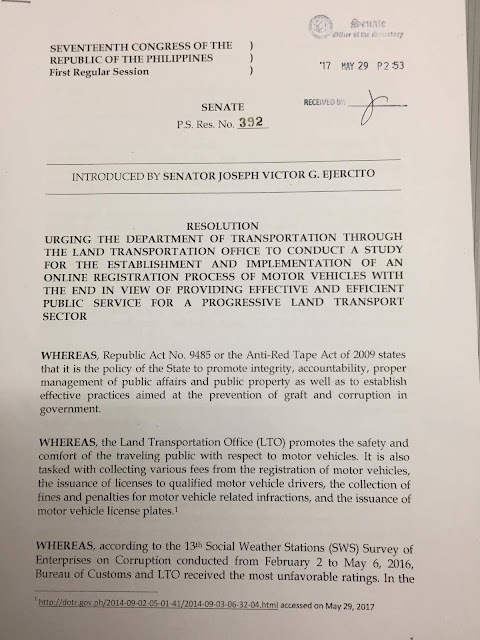 A few weeks ago, when I learned that there was a resolution made by Sen. JV Ejercito on making the vehicle registration online, I was delighted. It was such a relief that law makers get to think of these things. Imagine a mother, who play so many roles - when will she have time to register her vehicle? She will need to to take a whole day leave from her work - that means she won't get a salary that say since she's absent. How about the stay at home mom who prepares the food and picks up the kids from school? Who will cook and pick up the kids? It's really frustrating, I mean seriously - why can't these things become much easier for all of us? There are still many questions and revisions that need to be done, but the path is there, the idea is there - we should start, even with just one step for progress to happen. I am all for this movement, I am all for supporting this move. I hope that with this, we can all move forward. Let's do this not for us, but for the progress of our country. I'm a huge HUGE fan of Angel's Kitchen. There was a time that I would bring friends and family to Angel's Kitchen for meals when I was still single. I miss those days. Hahaha!! What I love about Angel's Kitchen is that they serve good hearty food. 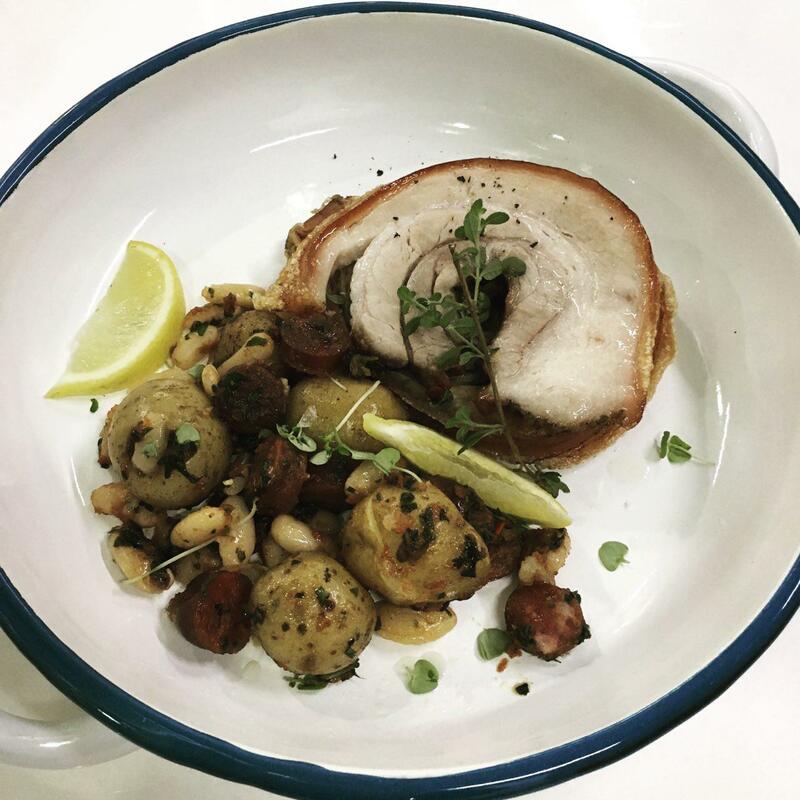 No pretense, just straightforward good comforting food. There was a time that I missed AK's food because of its distance to me. But I am very very happy and excited that since last year - I have frequented Angel's Kitchen more often because I bring Kailee to school. Angel's Kitchen is my #1 choice when asked where to meet for breakfast. As you know, I am a creature of habit when it comes to food. I like having mostly the same thing over and over again. I like pancakes, I don't love them - but I enjoy them once in a while. Just last week, I thought - why not deviate from my usual order - so I took the plunge and ordered their Good Morning Pancakes. 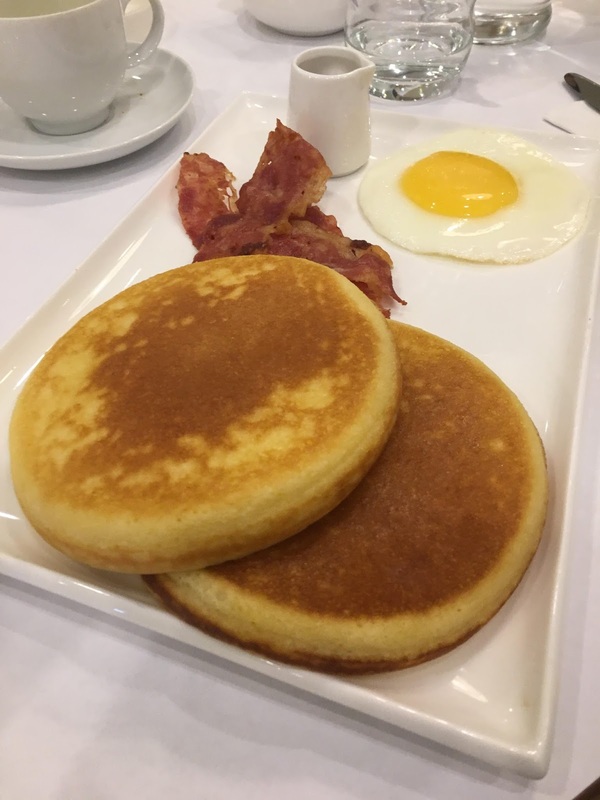 I was very surprised when I saw the sizes of the pancakes! They were huge - well, if you compare them with the usual sizes served in restaurants. 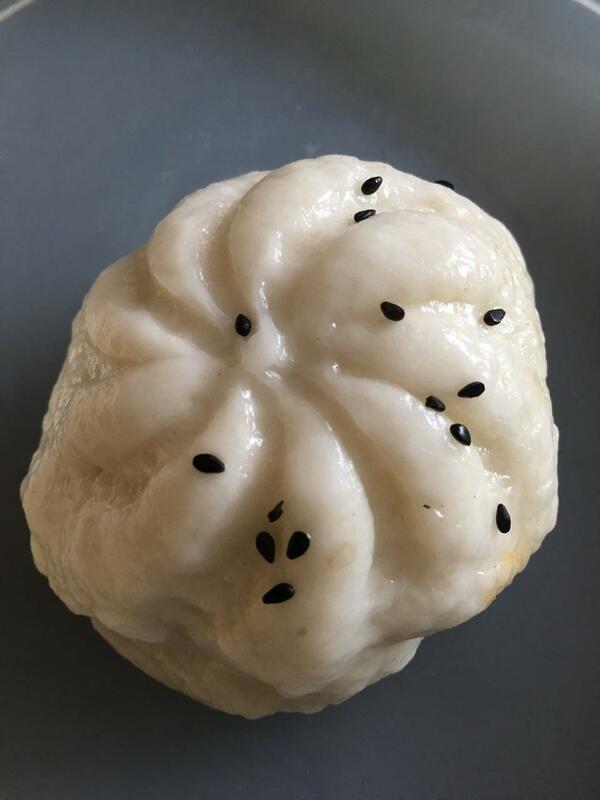 They're also very cutely - ROUND! Look at the roundness!! The pancakes were light and fluffy, but mind you - it wasn't airy. I first thought, why wasn't it served with the usual butter - but you know what, once you take a bite - it's all buttery goodness. I LOVED IT! I have a new favorite for breakfast! And when I say favorite - well, it hasn't been a week since trying it - but I've had the pancakes twice already. Diba??!! 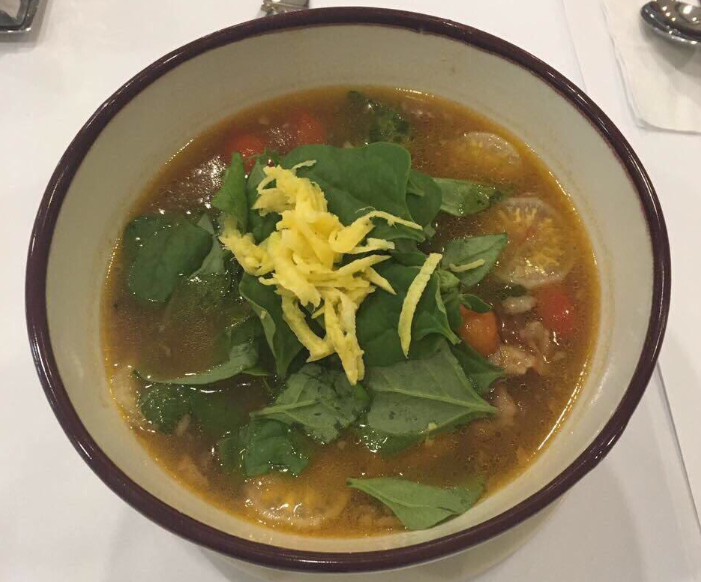 They also have this new dish, a very hearty and comforting dish - the Beef Spareribs Sinigang with Mangoes. I was so surprised that the kids liked this dish! 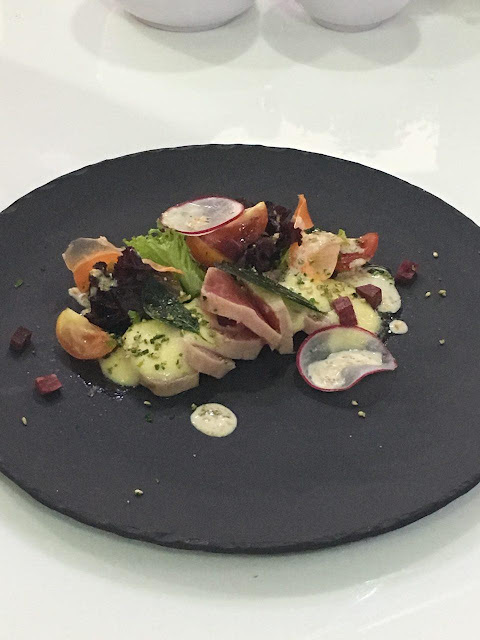 I tried it and knew why - the dish not very maasim but it was very rich and good. The beef spareribs are soft and very tasty, the soup is just comfortingly, goooood. I wish we can have unlimited refills of the soup! Hahaha.. Yaya Belen was surprised and said that beef ribs pala can be used for sinigang. This so very comforting that it reminds me of my mom's cooking - especially on a rainy day like today. Argh! 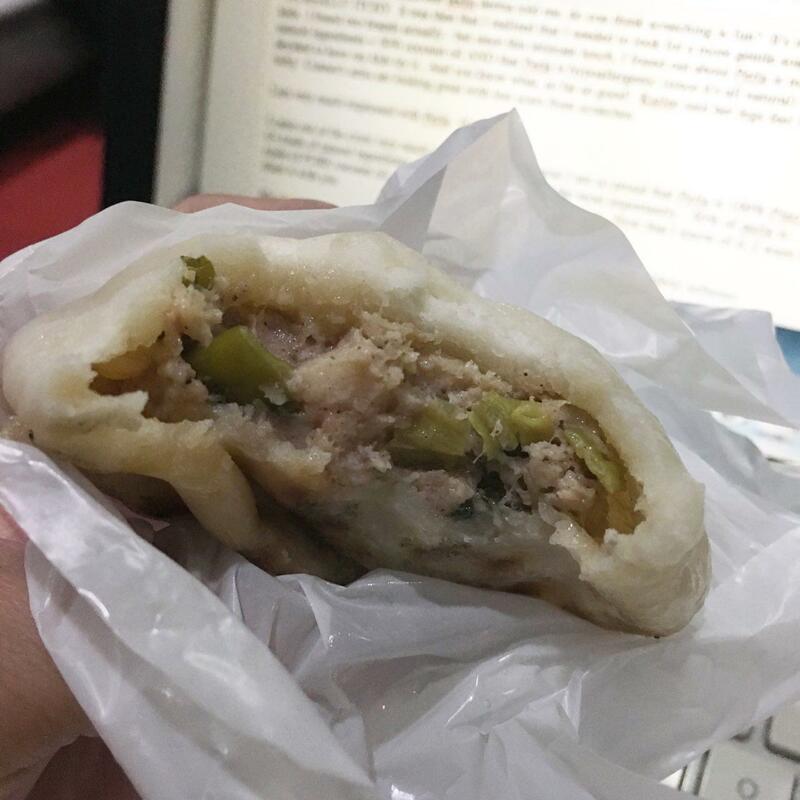 I'm craving for this right now. Waaaah!! This is something you'd want to have when you want share a hearty meal with dear friends and loved ones. Imagine sharing stories and bonding over this Beef Spareribs Sinigang with Mangoes. Lovely, just lovely! 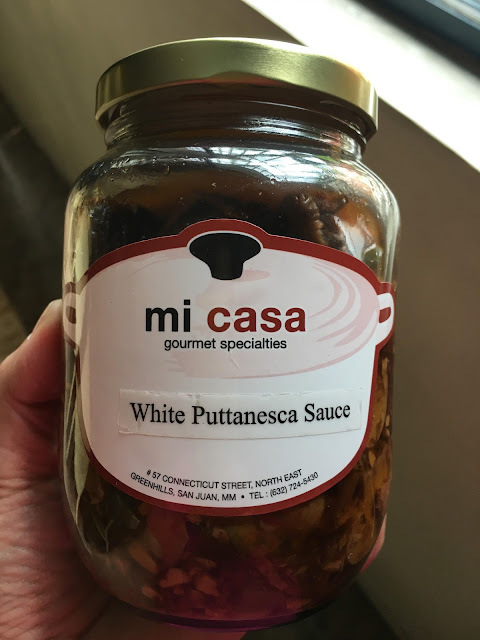 I just also recently discovered this White Puttanesca Sauce from Angel's Kitchen's Mi Casa. I was blown over when I tried it. Mind you, I didn't try it with pasta - I tried it as ulam with rice! Hahaha.. 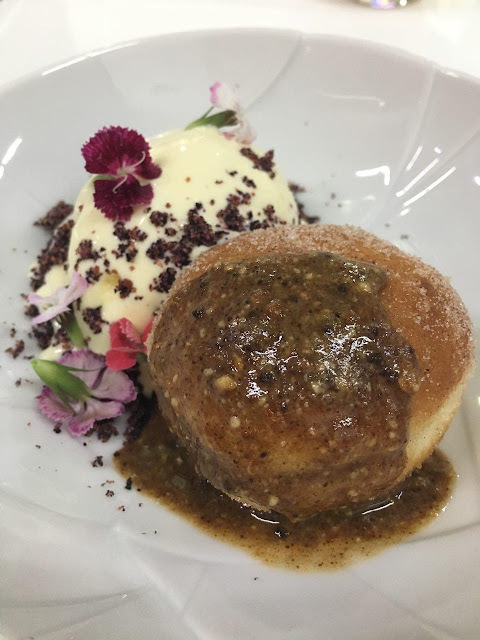 I loved how the pieces of ingredients were chunky. I will buy more of this because this will come in handy when I get lazy to cook! Hahaha.. Please do visit Angel's Kitchen soon. I'm sure you'd enjoy the old time favorite and have new ones with their new dishes. Each year, I look forward to Oishi's Snacktacular event. It's so much fun and what best to enjoy an Oishi snack by having activities to do it with! 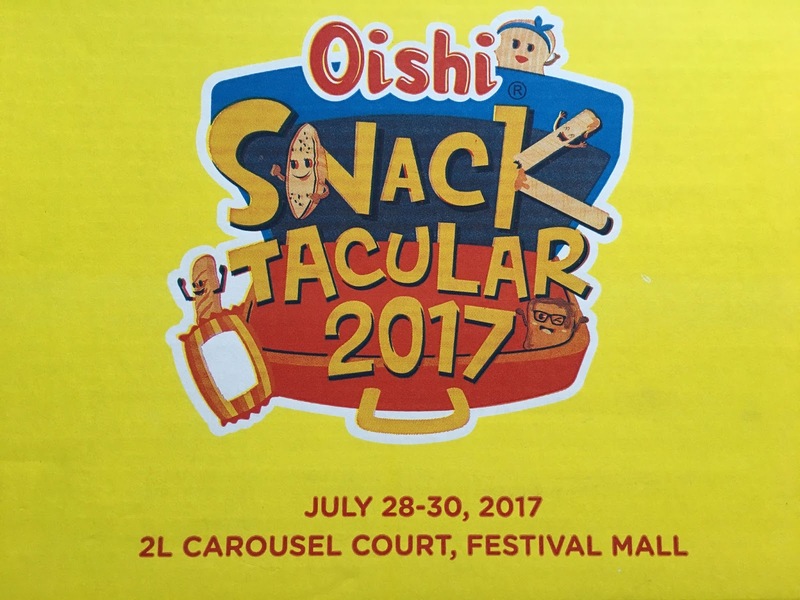 To share the love of the wonderful wonderful event, this year Oishi Snacktacular will be at the Festival Mall in Alabang! It will be at the 2nd level Carousel Court in Festival Mall! So to the loving peeps from the south - here's your chance to enjoy the festivities and one of a kind activities! Join in the fun and have yourself a Snacktacular weekend next week!! We’ve witnessed Panya, Hippy, Pilyo, Waifu and the rest of the Oishi Friends in their slightly dark but humorous mishap adventures in Oishi’s famous webcomic strip series. With the friends’ varying appearances and personalities inspired by Oishi snacks, who can resist these adorable characters? And now, see them come to life in this years Oishi Snacktacular 2017 at Festval Mall, Alabang this coming July 28-30. Meet and eat the yummiest gang as Oishi’s innovative and interactive booths make their comeback with a twist! We all know that Make Your Own Snack allows us to be inventive by choosing and mixing your chips and flavors of choice. This year, you choose a dip (or two) that you want to try with your favorite Oishi snack! Ridges dipped in chocolate? Why not! How about your favorite Fishda dipped in cheese and honey mustard? Trust us, it’s worth trying! O-Twirl is also offering something new to Oishi’s soft served ice cream with another flavor for you to try! Choose between Oishi Choco Chug and Oishi’s newest tetra drink, Tea Matchi Matcha milk tea! Don’t forget to top it off with 2 Oishi toppings! This year’s Cuckoo Blaster is double the fun because you get to pair up with your friend (or stranger) in matchy Cuckoo geared suits to catch as many balls you can. The more balls you catch as a team, the more Oishi drinks each player wins. Two Cuckoo Birds are better than one! Crowd favorite Oishi Snack Catcher is back! Dive into an enormous pool of Oishi snacks and grab all the treats you can take with your own hands! And of course, the Snack Shack booth will be there where you can fill up your 2-foot Giant Pack with your favorite Oishi Snacks in 60 seconds. Don’t miss your chance to try out all these with your favorite Team O members, Alex Gonzaga, Maine Mendoza, Daniel Padilla and Kathryn Bernardo! 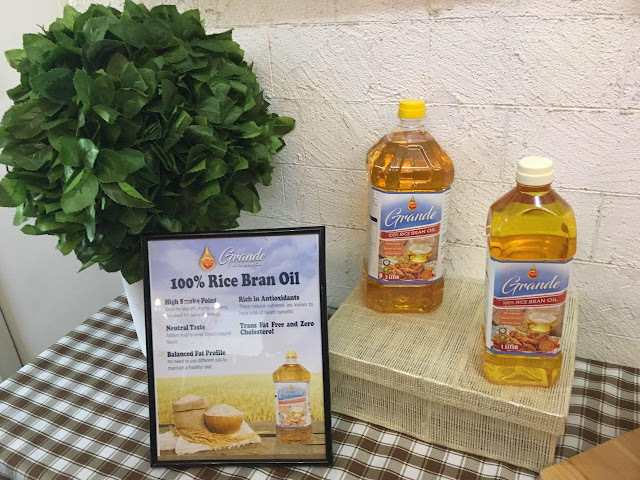 Drop by Oishi Snacktacular, the most O,Wow event of 2017! Lookie, lookie - it's the 2017 Edition of the Pilipinas Starbucks Card! WAIT! 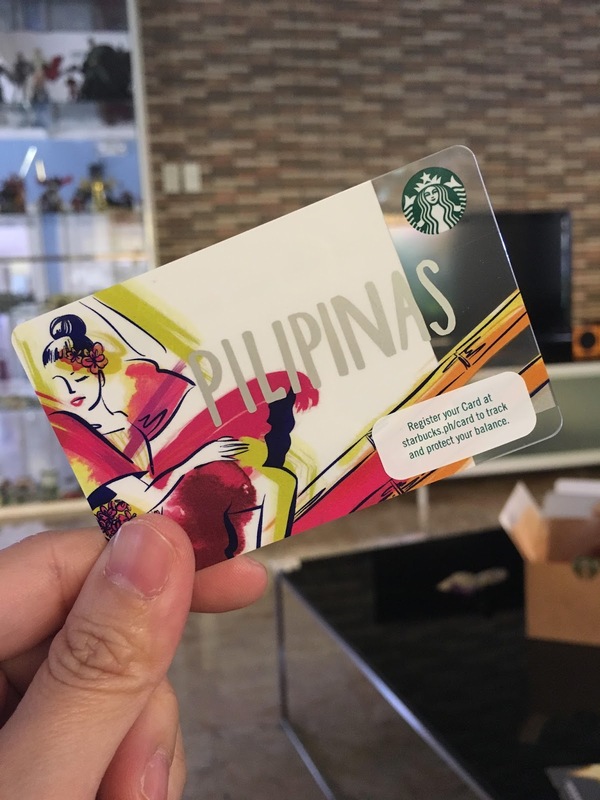 There's more - load up this exclusive Starbucks card of at least P1,500.00 from July 28 to 30, 2017 and you'll receive a complimentary hand crafted beverage in Venti! Double WOW, right?